If you smoke, stop smoking as soon as possible. It makes the operation safer and will help you to heal better. Please bring in any medicines you are taking, including any over-the-counter ones you have bought in a supermarket, pharmacy, or online. A member of your surgical team will check them. Before the operation you will see your surgeon. Please ask them any questions and tell them if you have any concerns about your operation. You are unlikely to need any tests before your operation, but you will need to sign a consent form. After your operation your arm will be loosely bandaged. Your discharge letter will include instructions about when and how to remove your bandage, and about your follow-up appointment. If you are having day surgery you will need someone else to drive you home. You will also need to have someone at home with you for the first 24 hours after surgery. Your surgeon will check how well your hand and elbow are moving and show you some exercises. This may include limiting how much you straighten or bend your elbow for three weeks. After you go home, you doctor may advise you to keep your hand dry when showering, by putting it in a plastic bag and taping the top of the bag securely to your skin. Take two paracetamol (Panadol) every four to six hours. If you need stronger pain relief, take one to two codeine phosphate 30 mg tablets as well. You can take codeine at the same time as you take paracetamol. But don't take more than eight paracetamol and eight codeine phosphate in any 24-hour period. If you are a day patient you will get a small supply of paracetamol and codeine phosphate when you go home. If you are an in-patient you will get a prescription when you go home. You may find it easier to sleep if you put pillows and blankets under your arm when you go to sleep. You can move your hand freely after surgery. Gently open and close your fingers and bend and straighten your wrist and elbow, in the way your surgeon shows you, to reduce swelling and stop them from becoming stiff. Start this as soon as you have had your surgery, repeating five to six times a day. You can start using your wrist and fingers for light activities straight after surgery. For example, you can do tasks that involve using or gripping with your fingers (using a pen, knife and fork, or keyboard), but avoid heavy lifting or doing anything that means you have to grip with your whole hand. If you have had surgery to your elbow you will need to avoid heavy lifting and repeatedly bending your elbow for two to three weeks. You may be off work for up to two weeks depending on your job. Your surgeon will discuss this with you. Once the wound has closed over, lightly massaging over the scar can reduce tenderness and sensitivity. It can also prevent the scar from becoming too thick. Pain will limit what you can do for around six weeks, but you should be getting better week by week. If you are not making progress, your surgeon may refer you to a hand therapist for more exercises and to manage your scar. 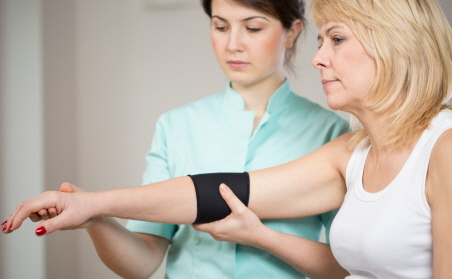 Recovering from ulnar nerve decompression is gradual and usually takes several months. However, if you have had tingling that comes and goes, this may get better immediately. Speak to your GP if you are worried about how you are recovering. Written by HealthInfo clinical advisers. Endorsed by clinical directors, Orthopaedics Department and Plastics Department, Canterbury DHB. Page created May 2017.